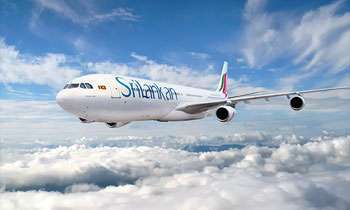 The then SriLankan airlines chairman Nishantha Wickremasinghe had in 2011 appointed Kapila Chandrasena as its CEO at an emergency board meeting without following a proper procedure, SriLankan airlines current Regional Head of Europe and Americas, Manoj Vaas Gunawardena informed the Presidential Commission of Inquiry on SriLankan airlines, SriLankan Catering and Mihin Lanka yesterday. Mr. Gunawardena served as the CEO of SriLankan airlines from 2008 to 2011 prior to the appointment of Kapila Chandrasena as CEO in 2011. He told the Commission that Mr. Wickremasinghe had notified the Board of Directors about Mr. Gunawardene's resignation from his post in 2011, though no such a request was made by him that year. According to the SriLankan airlines manual, a CEO candidate must have Bachelors, Masters or a relevant business-oriented degree, with more than 15 years of post-qualifying experience in the commercial aviation industry, including knowledge in engineering and airline management. He informed the Commission that before he was appointed as the CEO of SriLankan, an interview was carried out with Director General of Civil Aviation Authority and there was a long term process of appointing a CEO. He also informed the Commission that all the required guidelines were followed when appointing him in the CEO in 2008 and according to his knowledge none of them were followed when appointing Kapila Chandrasena. Does Chandrasena related to MR?